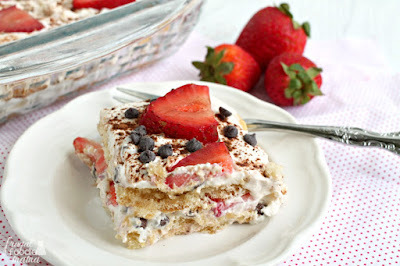 I am a self-proclaimed tiramisu addict, and I have no shame in admitting that, folks. ;) There is just something about that creamy mixture of mascarpone cheese, rich coffee, & delicate ladyfingers that I just can't resist. 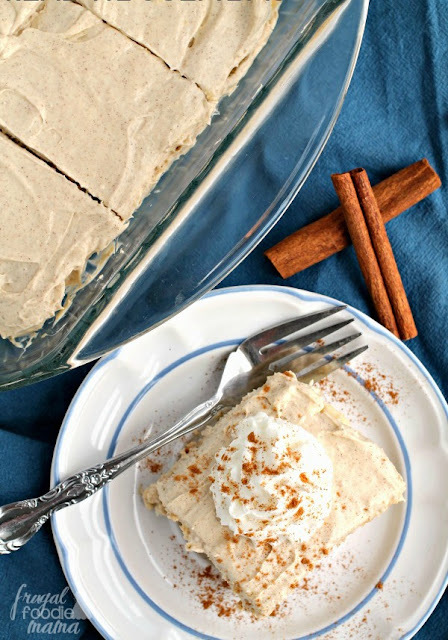 While I can always go for a slice of good ole traditional tiramisu, I often find myself playing around with the flavors in my homemade versions. 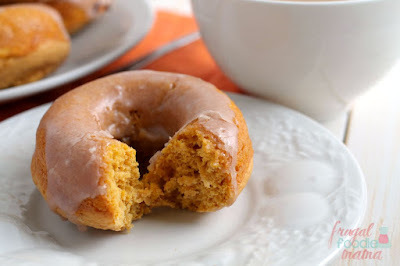 Since fall has finally arrived, I thought why not try my hand at a warm & cozy cinnamon spiced version? 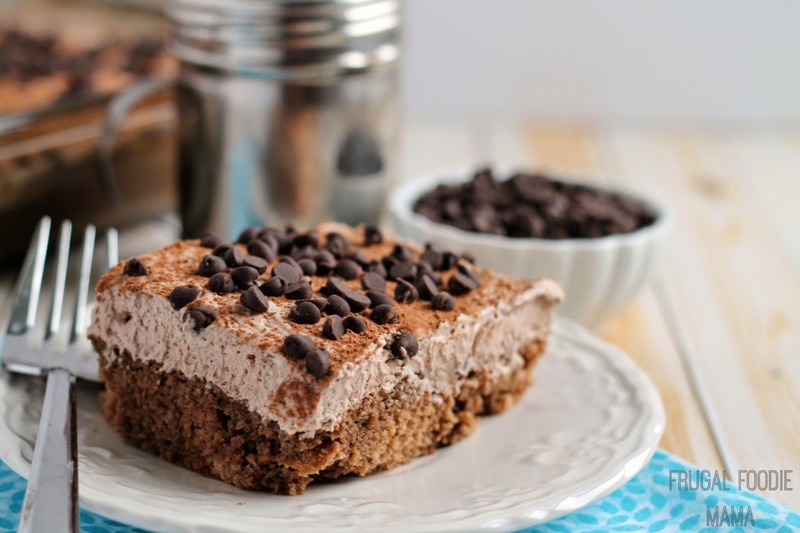 I left out the cocoa powder entirely in this no-bake version and replaced with it layers of sweet cinnamon flavor. The coffee that the ladyfingers are soaked with has been steeped with a whole cinnamon stick. Then ground cinnamon is whipped into the creamy filling. And for good measure, each slice is served with a little sprinkle of cinnamon over top. 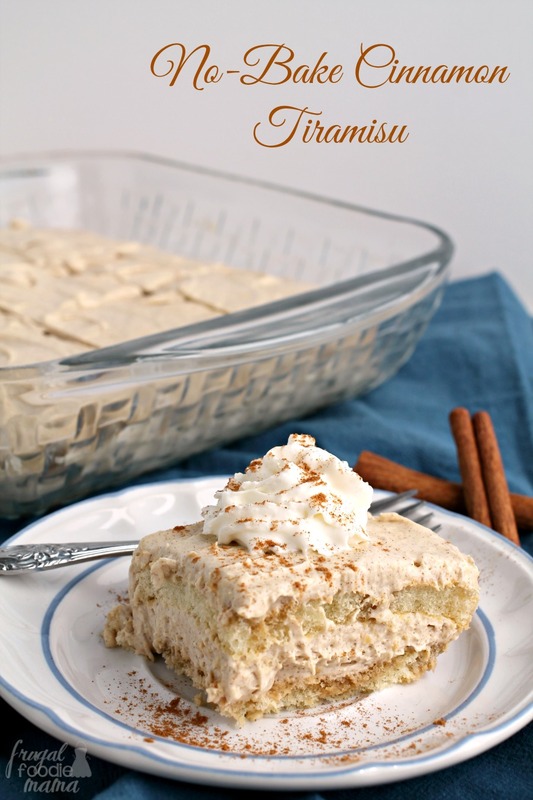 The perfect dessert for the cinnamon & tiramisu lover alike! Strongly brew a cup of coffee. While still hot, mix in the sugar. Drop in the cinnamon stick and allow to steep for 1 hour. Remove the cinnamon stick and allow the infused coffee to cool completely. In a large mixing bowl, beat together the vanilla pudding mix & cold milk. Then beat in the mascarpone cheese until smooth & creamy. Fold in the whipped topping & ground cinnamon. Set aside. Arrange half of the ladyfingers in the bottom of a 9x9 inch baking pan. Brush the ladyfingers with about half of the cooled cinnamon coffee. Spread half of the pudding/mascarpone cheese mixture over the ladyfingers in the dish. Cover with the remaining ladyfingers; then brush the second layer of ladyfingers with the remaining coffee mixture. Top with the remaining pudding/mascarpone cheese mixture. Cover & refrigerate for at least 4 hours & up to overnight. 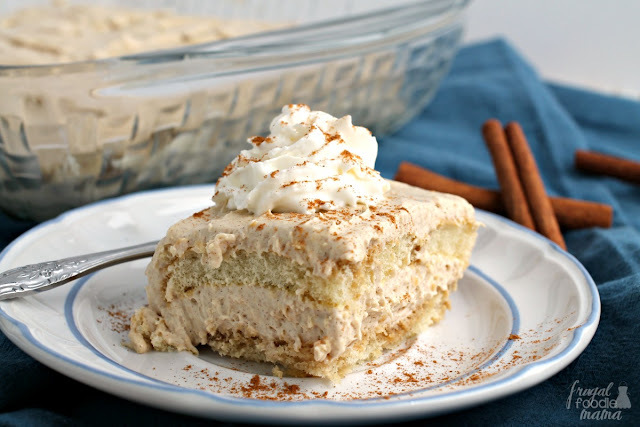 Top with a little whipped topping & a sprinkle of ground cinnamon before serving, if desired. Enjoy immediately. You can cover & refrigerate any leftovers for up to 3 days. My husband (who likes cinnamon, but doesn't love it when there is too much) was a little skeptical at first, but he ended up absolutely loving this tiramisu! 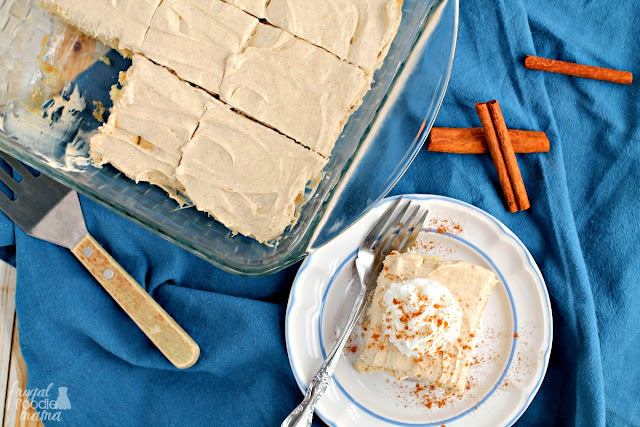 As he went back for a second piece, he told me that I had perfectly nailed the ratio of cinnamon to the cream filling & ladyfingers in this- there were subtle layers of real cinnamon flavor in each bite, but it was not overwhelming or overpowering. Who else is giddy that fall has finally arrived?